Meyer Dagmy has a problem with menswear startup brands who claim to disrupt the market by offering direct-to-consumer goods, made right here, for what they say is an extremely affordable price. "$30 for American-made underwear or $55 for an Everlane oxford shirt isn&apos;t great value, it&apos;s just retail," he says. That&apos;s why the 26-year-old took his experience from building his family&apos;s Army/Navy outfitter e-commerce site, Mashern.com, and applied it to Jomers, a bare-bones outfitter that skimps on branding to offer quality products made in New York, at unbelievable prices. "We&apos;re putting our money where our mouth is and offer our customers great value for every product we release," says Dagmy. 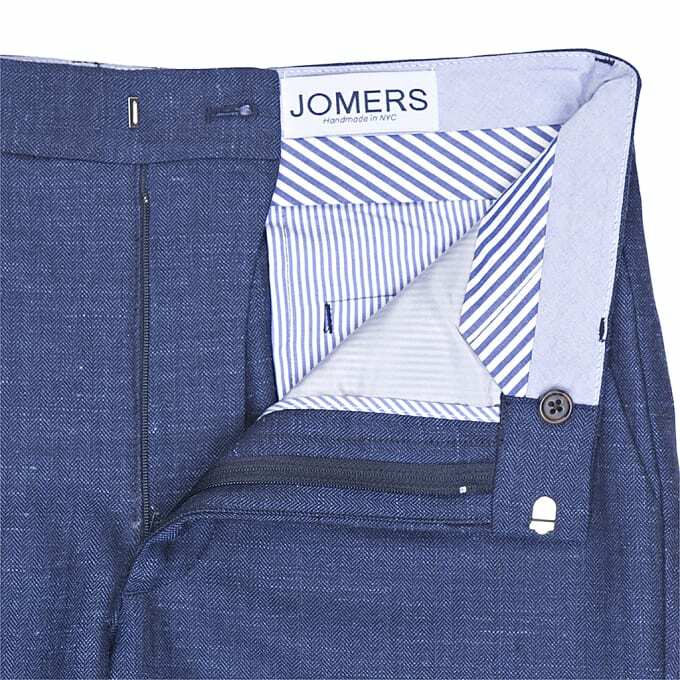 Jomers is especially known for their trousers, which often use the same fabrics as brands like Engineered Garments and Epaulet, but manage to sell for less than $60 a pair. Their recently released wool pants feature luxe materials like a speckled Japanese herringbone and even an English Donegal Tweed—their most expensive pant to date, at $58. At prices like that, it&apos;s not surprising that Jomers is moving units at a breakneck pace. "It takes us two hours to sell out of 300-400 pants," claims Dagmy. How does Jomers manage to pull it off? A small operation primarily consisting of Dagmy and his brother, they operate out of their family&apos;s office space, and have no need for a retail or wholesale operation. With low overhead costs, Jomers products approximately cost 1.5 times the amount it takes to manufacture them, as opposed to 8-10 times that cost. They save the most money by focusing more on keeping the stuff affordable rather than trying to build buzz. "We don&apos;t spend any money convincing people to buy our product," says Dagmy. "We don&apos;t even have a marketing budget. 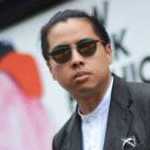 The only way people find us is through word of mouth or menswear blogs." Jomers is very much a family affair. The origin of the name itself is something Dagmy admits is "a bit silly." He merely took the first letters of everyone&apos;s name in his family and rearranged them until he found an available domain. Now, Jomers is very successful in that its releases mirror coveted streetwear drops. Moments after the brand tweets about newly available product, much of it sells out soon after. For a company that wants to build a brand by not investing in branding, the strategy of making great product at an extremely valuable price has actually given Jomers a cult of its own. "Guys that want quality menswear at an affordable price have nowhere to go, and that&apos;s why I started Jomers."